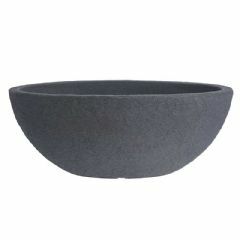 The Terra Bowl Planter has all the aesthetics of a classic clay bowl planter, but is made from weather-proof materials. Clay bowls are beautiful and traditional, but if left outside, can degrade quickly. They are also vulnerable to being knocked over by the wind or children. Clay cracked easily and moss and other factors can cause the finish to fade over time. No bottom drainage holes, but indents to make your own. 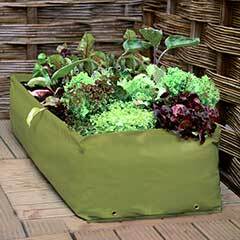 This bowl planter is made of very durable polyethylene plastic and features the nooks and crannies of a real wooden planter. It is water proof, does not absorb moisture and is virtually indestructible. When you want to swap out your plants, simply hose it down and it will be ready for another year of summer flowers. Ideal for the the cacti garden I have made. 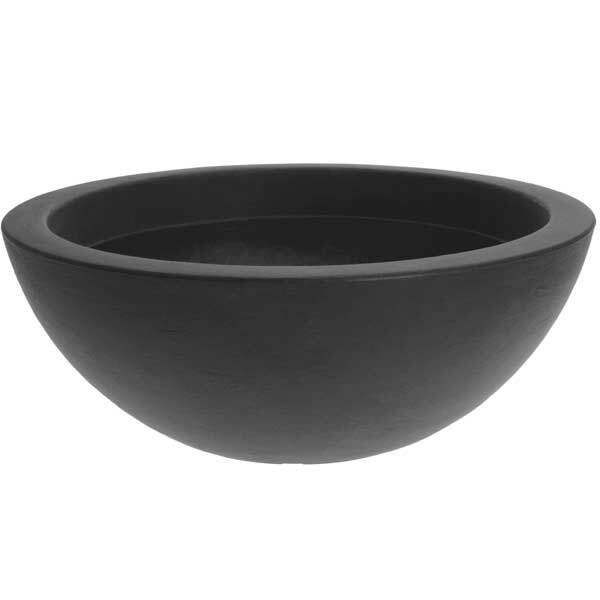 The bowl is really attractive and fits in with the rest of my garden decor. The price is really good compared to the prices garden centres charge (usually more than double). Delivery was excellent and I received it within a few days of ordering. 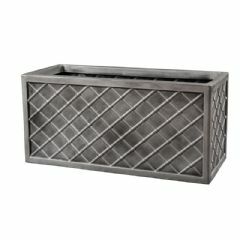 Will be purchasing more items from this company with confidence in future. 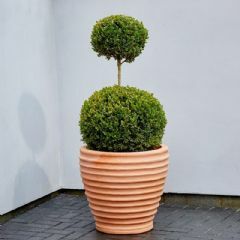 So hard to find this shape pot on the high street or even online. Looks so much more expensive than it is. Have used mine for plants so drilled a hole but could be used as a patio pond. Wanted more but out of stock at the moment. Definitely would recommend. Looks great on my patio. I am very pleased with my planters .They are very sturdy but also a lovely shape and size for what I wanted. 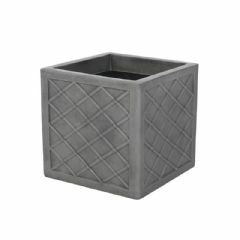 I want to replace smaller pots. 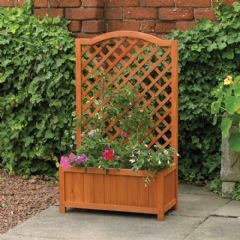 These will give the garden a new look and a feeling of calm! I intend to fill them with pebbles which will contrast with the grey/black colour of the planters. They were very good value too. Good size and great for bulb planting. Fantastic pot shape, lightweith and a good size of 52cm diameter. Something I have been looking for for a long time. 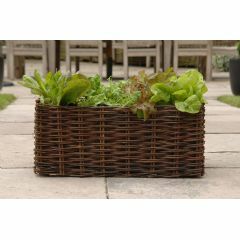 I bought two and they look great with winter colour and are flexible enough for use with different plants all round. The dark grey colour sets off the plants well. Will definitely look to see if there are any others in the range which will suit my needs. Great product, great size, great value. Really pleased with this planter, am using it as a water feature for my solar fountain, great product, great price may need to order another one for a stand for the first one. Prompt no fuss delivery. Really pleased with the pots.....modern, easy to drill drainage holes, looks very smart yet very reasonable price. 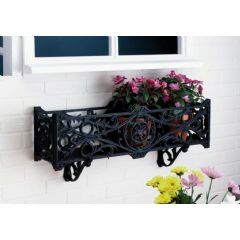 Bought one some time ago to use as a water feature just got 3 more to plant up for a dry corner of the garden. They look good and good value. 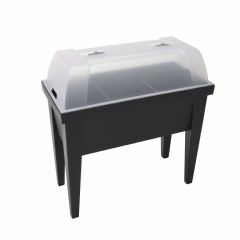 I bought two of these and have used them to create small patio water features. One I have kept for myself and the other given gas a gift to a friend. We are both delighted with our mini ponds which are complete with gravel, plants and small solar fountains! Excellent value to bring about small pleasures!